Born 1952, Donjetsk (Ukraine). He studied at the Fine Art School of Simferopol under Professor Sobol and later in the Atelier of N.Morgan. 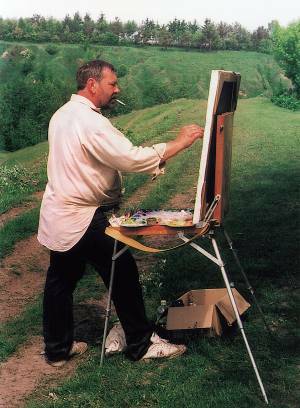 He is a member of the Arts Union and elected Painter Emeritus of the Ukraine. His works hang in the ministry of Culture of the U.S.S.R Moscow and the Fine Arts Museum, Kiev.